More than 100 foreign delegates from all over the world have confirmed their participation in the upcoming Nepal Investment Summit 2017 slated to be held from March 2-3. 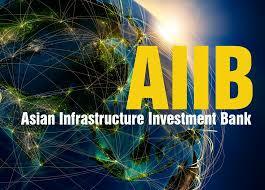 One of the high-profile participants is Asian Infrastructure Investment Bank (AIIB) President Jin Liqun, who attends the two-day event jointly organised by Investment Board Nepal (IBN) and Industry Ministry as special guest. Other participants include Asfaw Dingamo Kame, Ethiopian Ambassador to Nepal; Chen Wen, managing director of Sinohydro-Sagarmatha Power; Harvindar Manocha, chief operating officer of GMR Energy; Michelle Simmons, general manager of Microsoft for Southeast Asia New Markets; Suyash Chauhan, managing director of Unilever Nepal; and Joseph Sylvanus, CEO of Standard Chartered Bank Nepal. According to IBN, the participants will be briefed about improved investment climate in Nepal following the endorsement of a number of new laws.